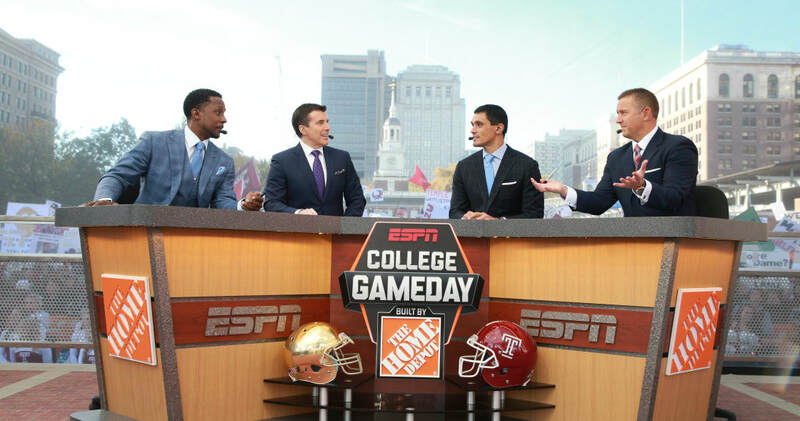 Shirts With Random Triangles: ESPN College GameDay will broadcast from Columbus, Oh. for Michigan-Ohio St. game. Columbus, we're headed your way. Get up. It's a 5-hour show. It will be the first time GameDay will broadcast from the site of Michigan-Ohio St. since 2007, when the Buckeyes and Wolverines were respectively ranked no.1 and no. 2 in the country. GameDay has broadcast from the site of the game four times overall. The program will expand to five hours, beginning at 7:00 AM ET on Nov. 26. The Michigan-Ohio St. game itself will be following GameDay on ESPN at 12 noon.